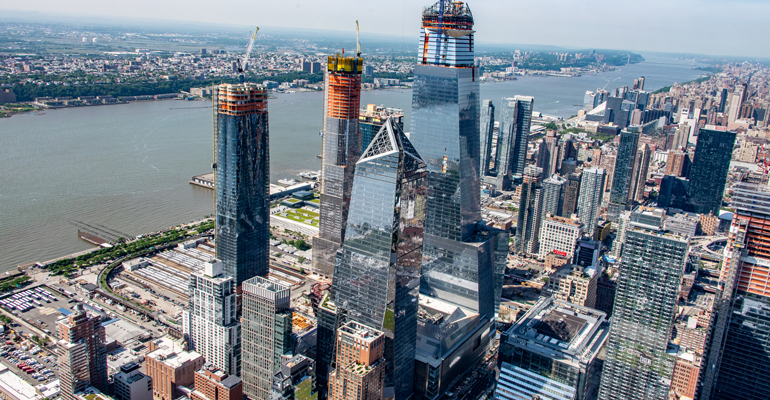 The newest additions to the mega-sized Hudson Yards mixed-use development in Manhattan have been announced and anticipation is building for the planned 2019 opening. Joining the restaurant lineup is Belcampo, a California-based organic meat company with restaurants and butcher shops in Los Angeles and San Francisco. The planned location in Hudson Yards will be their first outside California. In addition, the New York seafood market Citarella Gourmet Market is curating a new concept: Citarella Hudson Yards. Hudson Yards — with more than 18-million square feet of mixed-use space — will have a dining collection featuring “some of the most creative minds in the culinary world,” said Kenneth A. Himmel, restaurateur and president and CEO of Related Urban, a division of the project’s developer Related Companies, in a statement. Himmel co-curated the collection with Thomas Keller, assembling a microcosm of high-end, American and international fine-dining concepts. Among them will be London-based hospitality group Rhubarb’s partnership with award-winning chef and author Dan Doherty; and a Spanish food hall from chef and restaurateur José Andrés and his compatriot culinary stars Ferrán and Albert Adrià. One of the latest additions, Belcampo, started out as a California farm reinventing the meat industry with organic, pasture-raised, grass-fed meat that comes from compassionately and sustainably raised animals that are butchered in a Temple Grandin-designed, USDA-inspected butchery. Making the move to New York means moving their vision further, said Belcampo co-founder and CEO Anya Fernald. The “fine-casual” restaurant will feature an elegant/rustic comfort-food menu that will showcase the meat. Belcampo’s signature Double Fast Burger, two thin patties with American cheese, house sauce, butter lettuce, tomato and onion on a potato bun, will be on the menu for sure. Other dishes are globally inspired, with riffs on dishes from France to the Philippines. On the retail side, Belcampo will offer take-away items like packaged sausages and the brand’s much-loved bone broth, meant to complement home-cooked meals. Citarella Hudson Yards will be the eighth location of family-run Citarella Gourmet Markets, known in New York for seafood, meat and chef-prepared foods and pastries along with wine and spirits. The new 10,500-square-foot market will be a new model for the company, with upscale options such as steamed lobsters, a raw bar and grilled whole fish. In other Hudson Yards news, restaurateur Michael Lomonaco announced his Hudson Yards Grill will be a casual, accessible and approachable American restaurant that’s a reflection of New York City’s diverse culinary path. And David Chang, Momofuku chef and founder, said he has chosen Eunjo “Jo” Park to be executive chef at the brand’s forthcoming restaurant at Hudson Yards. Born in Seoul, South Korea, Park has worked at Daniel, Le Bec Fin, Per Se and Momofuku Ko. Momofuku’s project at Hudson Yards will span over 5,000 square feet and the restaurant will offer dine-in and carryout options.